Giant Thumb Studios' Scary Stories to Tell in the Dark documentary will finally come out on July 16th. The highly anticipated doc will hit Blu-ray and VOD through Wide Eye Releasing, which is just a few weeks before the big screen adaptation arrives in theaters. Additionally, it has been revealed that there will be a theatrical release in select theaters. The specific theaters have not been announced as of this writing, but that might be the best way to see this labor of love. The Scary Stories documentary takes an in-depth look at Alvin Schwartz's classic 1980s children's book series titled Scary Stories to Tell in the Dark. The movie contains over 40 interviews with members of Schwartz's family along with fellow children's horror icon R.L. Stine. In addition to the normal movie, the Blu-ray comes with bonus features, including many more interviews and other bits that were cut due to time constraints. The first trailer for the movie was released back in 2017 and it looks like a lot of work went into creating a tribute to the book series. The Scary Stories to Tell in the Dark book series launched in 1981 and concluded in 1991. The series is one of the top banned books in recent history, which the documentary goes over in detail. In addition, the legendary illustrations by Stephen Gammell are put under the microscope and examined, further proving why they scared the hell out of so many kids and continue to do so today. Even if someone has not read any of the volumes, they will more than likely recognize the creepy art by Gammell. The documentary is coming out at the perfect time. 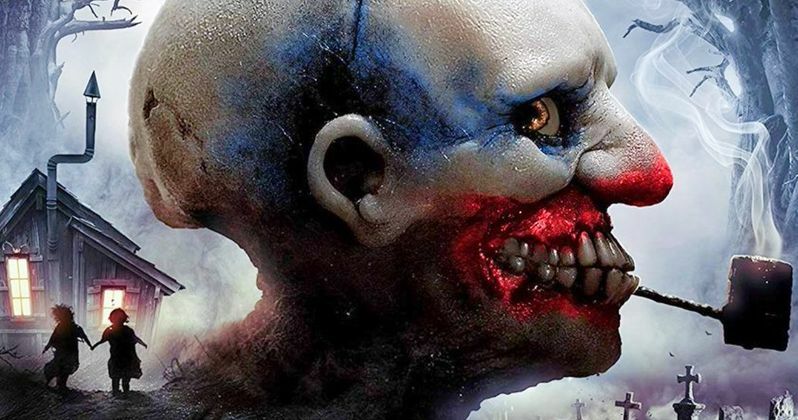 Guillermo del Toro and director Andre Ovredal's big screen adaptation of Scary Stories to Tell in the Dark hits theaters on August 9th, which means that fans of the source material are about to get an overload of information within weeks of each other. So far, the movie looks promising and is definitely keeping up with the spirit of the books in terms of look and design. Scary Stories fans have been critical of recent releases of the books that take away from Stephen Gammell's iconic artwork. Since we're so close to the Scary Stories documentary coming out, we may get another sneak peek soon. Regardless, even if a new trailer isn't released, the movie will be out soon enough, followed by the big screen adaptation. It's a good time to be a fan of Alvin Schwartz's compilation of short horror stories that were based from folklore and urban legends. A documentary on the subject is long overdue and the same can be said about the feature-length film, which had been in development for quite a while before it started moving along. You can check out the trailer for Scary Stories and the brand-new poster below, thanks to the Scary Stories YouTube channel.